Samsung Galaxy J3 (2017) Unlocked, T-Mobile Variants Clear FCC Certification - Playfuldroid! 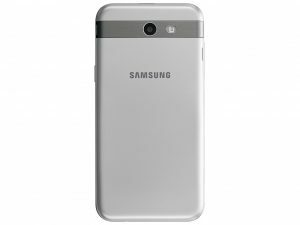 The Samsung Galaxy J3 (2017)’s arrival in the U.S. markets seems to be imminent. In October 2016, Galaxy J3 (2017) with model number A3LSMJ327P had cleared Federal Communications Commission (FCC). Before FCC’s approval, it also received TENAA certification in China. 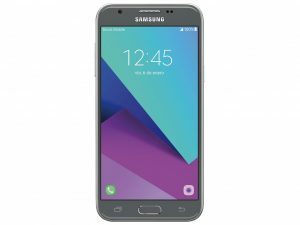 Now the alleged unlocked and T-Mobile variants of Galaxy J3 (2017) has been spotted receiving FCC certification. The Galaxy J3 (2017) has a model number of SM-J327. The SM-J327U and SM-J327U model numbers on FCC reportedly belong to the Unlocked and T-Mobile edition of the smartphone. The South Korean tech giant is expected to release the smartphone through multiple carriers in the U.S. Recent leaks have revealed that it would be available through AT&T pre-paid Cricket Wireless as Galaxy Express Prime 2. The J3 (2017)’s Sprint (SM-J327P) and Verizon (SM-J327V) variants were also spotted when it received Wi-Fi Alliance certification on earlier this week. It is pegged to be available as Galaxy J3 Emerge through Sprint’s pre-paid sub-brands, Boost Mobile and Virgin Mobile. Some of the model numbers of Galaxy J3 (2017) revealed through the certification include SM-J327R7, SM-J327R6, SM-J327R4, Sm-J327VPP, and SM-S327VL. In the previous month, Samsung had trademarked Galaxy J3 Luna Pro. It seems to be a carrier-bound variant, but there is no confirmation on which U.S. carrier it will be available with.